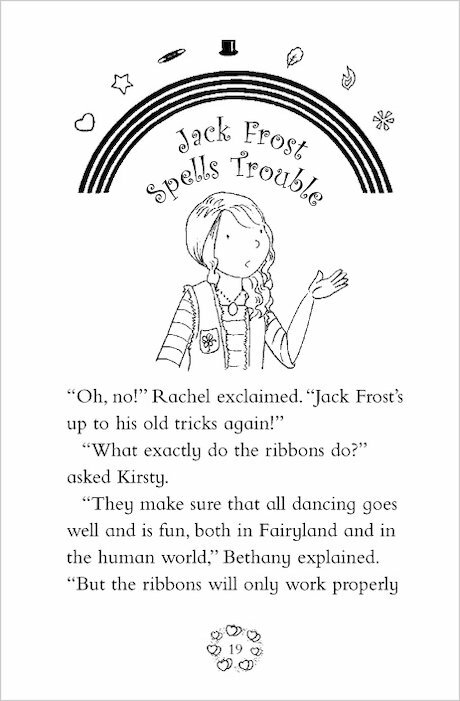 Jack Frost’s naughty goblins have stolen the Dance Fairies’ magic ribbons and are hiding in the human world. Now dancing is being ruined everywhere! 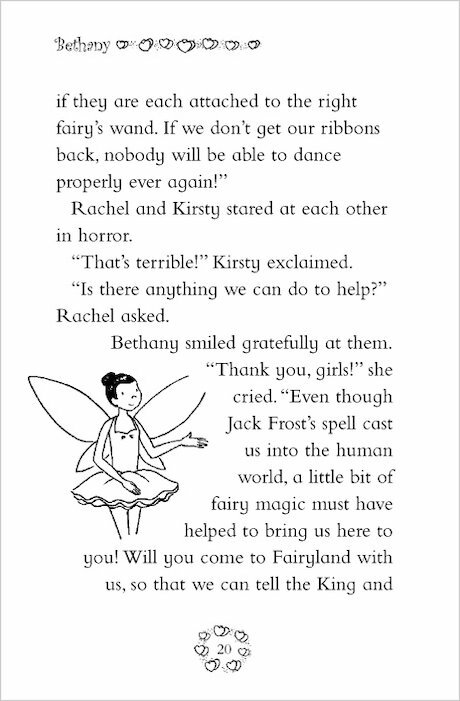 Rachel and Kirsty must help Bethany… but the goblins’ new powers won’t make it easy! bethany makes sure that all the ballet dances and performences in the world go exactly acording to plan. my friend dressed up as bethany once! this book is really good! 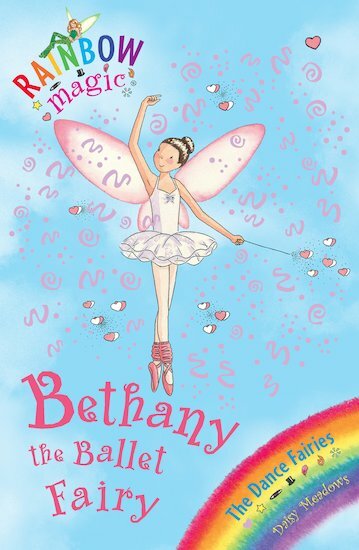 rachel and kirsty love doing ballet! 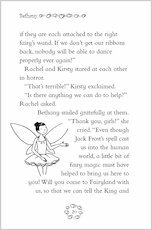 on the way they meet a tiny fairy with a white tutu and shiny wand. the goblins steal her party bags.little goblins can be really naughty!!!!!!!!!!!!!!!!!!!!!! 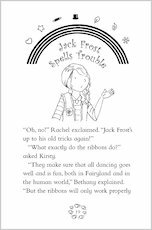 This book is fantastic, another fantastic book from Daisy Meadows. As it involves dance i loved it.